Clean and Safe/Ambassador Services: In the last fiscal year, our Downtown Clean & Safe Ambassadors logged 22,000 hours to make #DTJax clean and Downtown a better place. 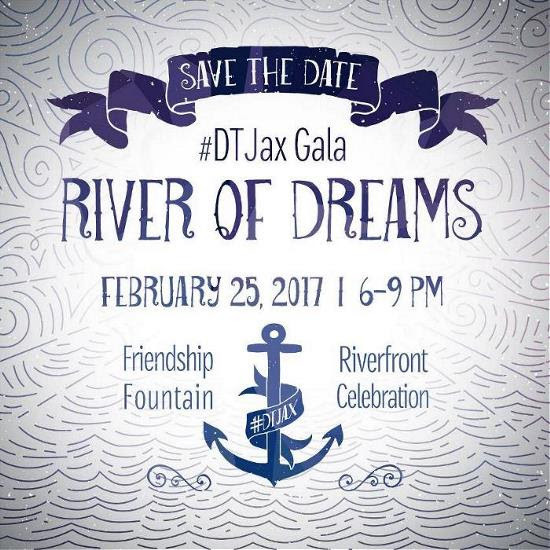 Marketing: The #DTJax hashtag reach exceeded 24 million people reinforcing Downtown as the City’s unique epicenter for business, history, culture and entertainment. Information Management: We crunched the numbers to provide statistics and trends on Downtown development, employment, residential, retail, parking and more. Experience Creation: Our produced events drew more than 200,000 people to #DTJax creating lively streets and supporting our small businesses. Check out our latest Annual Report, which highlights accomplishments, special projects and financial information for fiscal year 2015-2016. Click here to download the PDF. Sept 24: BUD Lights Up The Landing! PARK(ing) Day Was a Success! Last Friday, September 16 was PARK(ing) Day in #DTJax with 17 active, unique, temporary parklets lining the streets. Thank you to everyone who came out and for all of the local businesses that participated! Get Your VIP Tickets for Oktoberfest Today! In 15 days, we will be celebrating the 4th Annual Oktoberfest at Art Walk, our biggest Art Walk of the year! Hosted by Curtis Dvorak, Oktoberfest will include a polka band, contests, a carnival zone, a kids zone and of course, German beer and the traditional tapping of the keg! With more people than a general Art Walk, Oktoberfest calls for more volunteers! Volunteers are needed to assist with the different zones, pass out flyers, biergartens and more. Sign up here today! Listen to some of the best musical talent our city has to offer with this two-disc, 40-song compilation album. Download your free copy of Amplified Vol. 2 here! If you or someone you know is looking for an internship this Fall or Spring, DVI may be the perfect fit! We are looking for marketing, events and research interns so if you love Art Walk, want to get to know Downtown better or are looking to find out how an organization like ours works, apply today! Read our blog to hear about an internship experience at DVI. Thank you to the City of Jacksonville for the light exhibit in remembrance of 9/11. PARK(ing) Day is in 3 Days! In the midst of the bustle of #DTJax, take a break in any of the 19 mini-parks sprinkled throughout #DTJax’s metered parking spots. Eat your lunch while soaking up some sun, relax from your hectic workday, read a book, grab a mat and participate in yoga or bring your co-workers and have an office outing! DVI in collaboration with Windmill Consulting, TransForm Jax and ULI North Florida is hosting PARK(ing) Day in #DTJax to benefit local businesses, residents and visitors by creating sidewalk extensions that attract customers and foster community conversations. Check out the full list of temporary parklets here! Vote YES on County Referendum No. 1 Today! Downtown Vision’s leadership believes the funding of the pension is crucial before the revitalization of Downtown Jacksonville can continue. A YES vote on County Referendum No. 1 will establish a dedicated funding source for the pension burden and free up general fund dollars to be used for other high priority items, including public investments in #DTJax. For more information on the Mayor’s plan, visit here and make sure to vote ‘yes’ on August 30. There are six days left of early voting, more information on your polling station information can be found here. We’re looking for volunteers for September’s Dog Days of Summer Art Walk. Give back to your community and plus, volunteers receive cool perks and get to play with puppies! To sign up, visit here today. Oktoberfest at Art Walk is Back!